Brief Synopsis – A married couple start divorce proceeding after a miscommunication and both try to sabotage the other’s impeding romances while they wait for their divorce to be finalized. 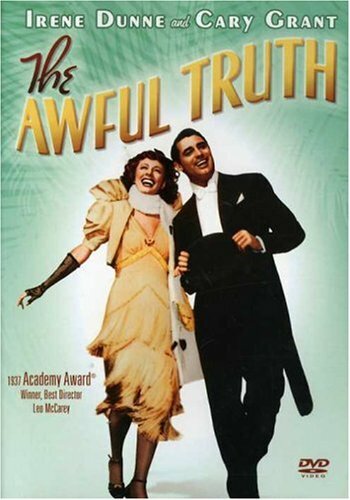 My Take on it – This is a film that can be classified among the funniest of the screwball comedies because the two lead characters played by Cary Grant and Irene Dunne have such amazing chemistry even when they seemingly wish to repel one another. Watching the conversations between this couple is great because they do is so humorously. The dialogue is clever and the quips that most of the characters wield are sharp and cut quite deeply because they are written so well. I loved Ralph Bellamy’s character because he is there solely for comic relief yet he himself believes that he is the most serious of all of the characters. The antics performed by both of the leads work so well as they each try to ruin the other’s potential budding new relationship mainly because they think of very clever ways to do this. Bottom Line – Really fun screwball comedy that works on so many levels. Grant and Dunne have great back and forth chemistry that is hilarious to watch unfold. Bellamy is great in a role of a character who is there just for the laughs but takes himself so seriously. The antics that both of these characters play in order to ruin the other’s budding relationships are quite clever and works so well. Recommended!